Jehu (יְהוּא, Yehu—"The Lord is he") was king of Israel, 842–815 B.C.E. He assumed the throne after being anointed by a messenger of the prophet Elisha and carried out one of history's most violent coups. In the process he killed both the reigning King of Israel, Joram, and the King of Judah, Ahaziah, at the same time. An adamant opponent of Baal worship, Jehu also murdered the infamous Queen Jezebel, Joram's mother, whom the prophets blamed for the resurgence of Baal in Israel, and went on to slaughter dozens of her husband Ahab's sons, as well as numerous members of the royal house of Judah. He ended his coup by gathering the priests of Baal in their temple in the city of Samaria and killing them all. While the Bible strongly praises Jehu for these acts, the Book of Kings—our principal source for the events of his reign—criticizes him for failing to destroy the Israelite shrines at Bethel and Dan which competed with the Temple of Jerusalem for the loyalty of Israel's worshipers. As king, Jehu's military record was not nearly as successful as his immediate predecessors against the Syrians, and he lost considerable territories to the Hazael of Damascus. Outside the Bible, Jehu is depicted on the Black Obelisk of Shalmanezzer III as prostrating himself and offering tribute before the Syrian king. 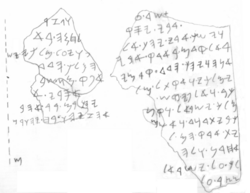 The recently discovered Tel Da inscription contradicts some of the main events in the biblical story of Jehu, giving credit to Hazael for some of Jehu's most famous deeds. While the Book of Kings considers Jehu one of Israel's few good kings, the prophet Hosea appears to denounce his coup and to predict that God would strongly punish Israel for Jehu's violent deeds. Jehu's story is cast against the background of the reign of the Omride dynasty, consisting of Omri, Ahab, and Ahab's two sons, Ahaziah and Joram/Jehoram. These kings, especially Ahab, were considered evil by the biblical writers because of their tolerance of Baal worship. While each of these kings seems to have honored Yahweh personally, they also allowed and even supported Baal worship, in part because of the influence of Ahab's wife Jezebel, who was not an Israelite but a Phoenician princess. Although some of the prophets had occasionally supported Ahab and his sons in their battles against Syria, in Jehu's time, a militant Yahweh-only faction led by the prophet Elisha had emerged as a significant political faction opposed to the Omrides. This faction may also have been critical of the southern royal house of Jehoshaphat of Judah, who allied himself with Ahab against the Syrians and allowed Ahab and Jezebel's daughter Athaliah to marry into the Davidic lineage. Elijah, however, had left this task unfulfilled, and it was left to Elisha to accomplish it. Jehu's companions, inquiring after the object of this mysterious visit, greeted the news of prophetic support for Jehu with enthusiasm, blowing a trumpet and cheering him as king (2 Kings 9:11-14). Jehu and his supporters promptly rode to Jezreel, where Joram was recovering from his wounds. "Do you come in peace, Jehu?" the king asked. Jehu replied: "How can there be peace, as long as all the idolatry and witchcraft of your mother Jezebel abound?" Jehu then shot Joram in the back with an arrow as he turned to flee. Jehu also ordered the murder of Ahaziah in the coup. 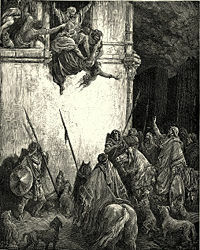 At Jehu's command, Joram's mother Jezebel is cast down and trampled to death. Seeing his duty to destroy the entire "house of Ahab," Jehu turned next to Joram's monther Jezebel, Ahab's widow. The queen-mother died after being thrown down from a high window by her own eunuchs at Jehu's command. Following this, Jehu engineered the killing of 70 of Ahab's male descendants, ordering their heads left in piles at the gates of Jezreel. Carrying Elisha's program to its logical conclusion, Jehu then summoned the priests of Baal, whom Joram had tolerated, to a solemn assembly in the capital. His invitation declared: "Ahab served Baal a little; Jehu will serve him much." Once they assembled in Baal's temple, Jehu—supported by the Yahwist partisan Jehonadab son of Recab—proceeded to order them all slaughtered, demolishing the temple, and turning it into a public latrine. Militarily, Jehu's severing of Israel's alliance with Judah left him hard pressed by Hazael of Syria. Paradoxically, this enemy of Israel himself had been anointed to his office by none other than the prophetic kingmaker Elisha. Adding to the complications in unraveling the mystery of the "historical" Jehu is the fact that the Tel Dan Stele, discovered in 1993-1994 gives the credit for killing Joram and Ahaziah to a Syrian king, apparently Hazael. This leads some commentators to suggest that Jehu may have even acted as Hazel's agent in the destruction of Ahab's dynasty. The Tel Dan inscription credits Hazael, not Jehu, for killing Joram and Ahaziah. 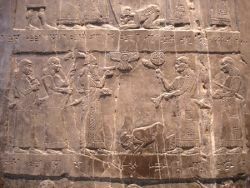 Jehu, center, kneels before Shalmaneser III on the Black Obelisk. In any case, the biblical account admits that Jehu's army was defeated by Hazael "throughout all of the territories of Israel" beyond the Jordan river, in the lands of Gilead, Gad, Reuben, and Manasseh (10:32). In this desperate state of affairs, Jehu may have turned to the emerging Assyrian power for support. This would explain why the one extra-biblical mention of Jehu, the the Black Obelisk of Shalmaneser III, depicts him as humbly offering tribute to the Assyrian king. 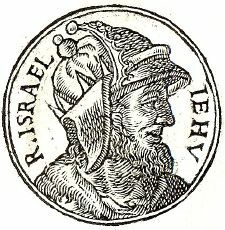 It is easy to confuse Jehu with another, roughly a contemporaneous biblical figure of the same name, and also to confuse his lineage with the royal lineage of Judah. Jehu should not be confused with the Jehu the son of Hanani, a prophet active both before and during the reign of Jehoshaphat of Judah and who criticized Jehoshaphat for his alliance with Ahab (2 Chron. 19: 2-3). Jehu was the son of a man named Jehosophat, son of Nimshi. This was not the Jehoshaphat who reigned as king of Judah a generation or two earlier. The royal Jehoshaphat of Judah was the father of King Joram/Jehoram of Judah and the grandfather of Ahaziah of Judah, whom Jehu ordered slain during his coup against Joram of Israel. To make matters even more confusing, both the Kingdom of Israel also had kings named Ahaziah and Joram/Jehoram during roughly the same period. Jehu's ascension to the throne marked a turning point in the history of the northern kingdom. Externally, Israel had always been the more powerful of the two "Israelite" states, while Judah had been the more strongly devoted to Yahweh. Suddenly, however, the spiritual tables were turned. Under Jehu, Baal worship was violently suppressed in Israel. However, Jehu's murder of Ahaziah of Judah at Jezreel unwittingly paved the way of Ahaziah's grandmother, Athaliah, to seize the throne in Jerusalem. 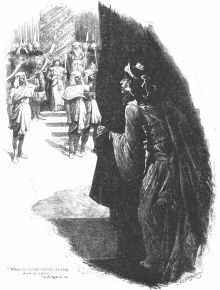 The daughter of none other than Jezebel, the nemesis of Jehu's patron Elisha, Athaliah carried out a bloodbath of her own in the southern capital. She also reportedly either constructed or patronized a temple of Baal in the holy city itself. The only reigning queen in the history of either Judah or Israel, her rule lasted six years until she was slain in a counter coup engineered by the Yahwist priests of the Temple of Jerusalem, who put her great-grandson Joash on the throne in her place. The doomed Athaliah hides as priests install young Joash as king. Politically, by ending the former alliance between Israel and Judah which had fared well against the Syrian power, Jehu left himself vulnerable to forces of Hazael, who succeeded in conquering significant portions of the small empire built under the Omride dynasty. For protection, Jehu was forced to humble himself before Shalmaneser III of Assyria, an act notoriously memorialized in the Black Obeslisk. Nevertheless, under Jehu's son Jehoahaz, Israel was reduced to a vassal state of Damascus. After the death of Hazael, Assyria moved against Damascus again. This enabled Jehoahaz' son Joash (also called Jehoash to distinguish him from the Judean king of the same name) to defeat Damascus' new king, Ben-hadad III, and recapture lost territory. He also struck against the Kingdom of Judah, where he reportedly sacked Jerusalem and looted its Temple (2 Kings 14). Israel reached the zenith of its power after the ascension of Jeroboam II (c. 783), who recaptured substantial Syrian and transjordanian territories and made Israel an even greater power than it had been in the days of the Omride dynasty. However, this external glory was short-lived. Affluence gave rise to moral corruption, which was eloquently decried in the oracles of the literary prophets Amos and Hosea, the latter of whom declared Jehu's massacre in Jezreel to have been counter to God's will, dooming the northern kingdom to ultimate destruction. Albright: 842 B.C.E.– 815 B.C.E. Thiele: 841 B.C.E.– 814 B.C.E. ↑ Not to be confused with the two kings of the same name who ruled in Judah during the same era. ↑ Another issue the prophets had against Ahab was his mistreatment of a man named Naboth, whose property Ahab usurped after having him killed. Naboth is mentioned several times in the Jehu narrative, and it is in Naboth's field that Jehu ends up assassinating Ahab's son Joram. ↑ Not to be confused with Ahaziah of Israel, who was Joram's brother and immediate successor. ↑ Most scholars believe these shrines honored Yahweh, although the biblical writers make much of the golden calf icons which these sites featured. This page was last modified on 17 December 2018, at 21:26.